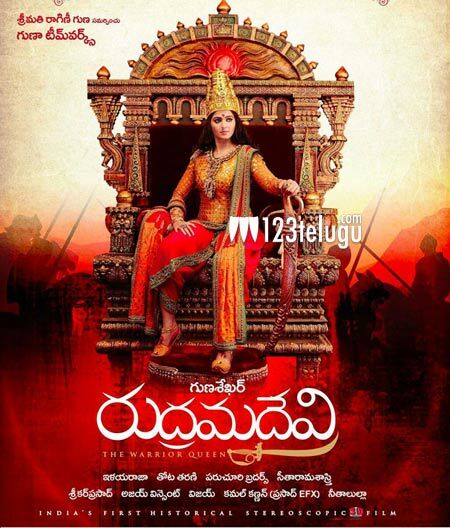 Gunasekhar’s upcoming historical 3D film Rudramadevi has been in news for the massive sets that are being erected to shoot the film. The latest news is that Gunasekhar has commissioned yet another massive set to recreate a seven walled fort which was believed to be the one of its kind in South India back in the 13th century AD. Anushka is playing the title role and the film also stars Rana Daggubati, Krishnam Raju, Prakash Raj, Nithya Menen, Catherine Tresa and others in important roles. Ilayaraja is scoring the music. The film is expected to hit the screens later this year.